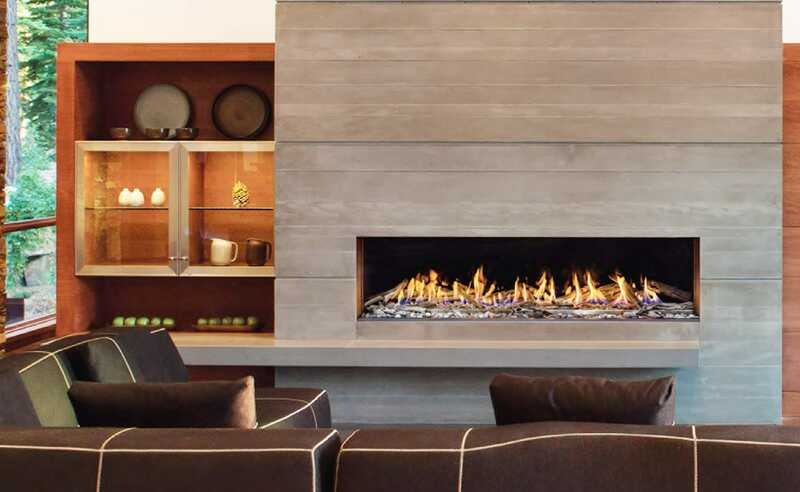 The R-Series gas fireplaces produced by Montigo in Canada have been designed with beautiful, bold flames with a contemporary and elegant look. The R-Series are available either as single sided or see-thru versions and come in 4 sizes: R320, R420, R520, and the largest RP620. The see-thru models are R320-ST, R420-ST, R520-ST, and the largest R620-ST. Custom models include the 7’ R720, the 8’ R820, and the R324-ST indoor-outdoor model. Some special features include a frameless design that allows for a clean finish around the fireplace, a large viewing area for a full view of the fire, unique linear burner design and technology, and glass door design for easy access and cleaning. There is a wide selection ofinterchangeable media options and colors including firestones, fireglass, speckled stones, or a driftwood log set (all shown in the section above). 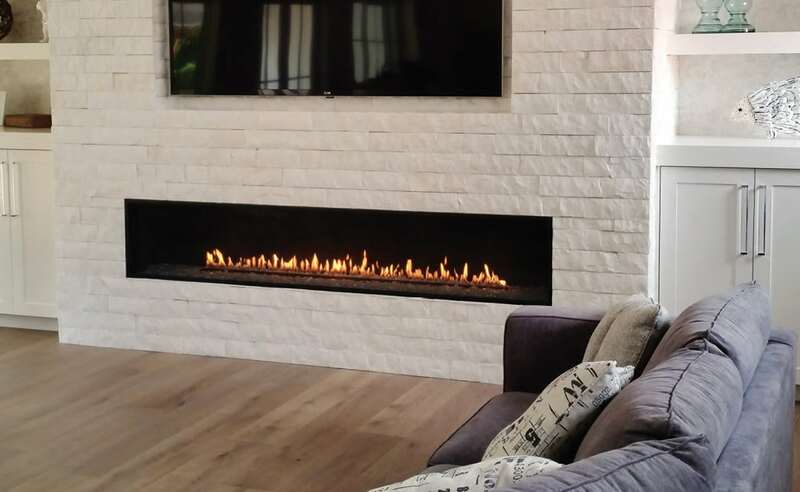 The R Series fireplaces come with a bed of multi-textured glass pebbles (in white, silver, and opaque) that reflect and refract the light from the flickering flames. See sample at right. 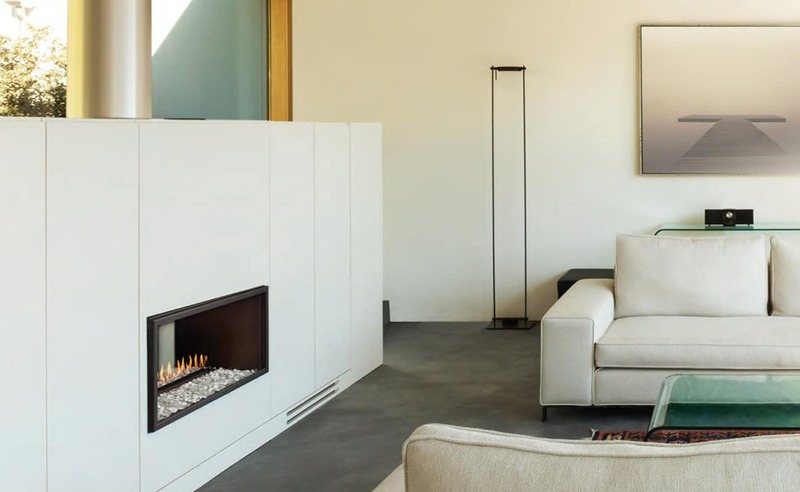 Top or rear power venting is provided (top only for see-thru models), which enables the fireplace to be located anywhere in the home. There is also in-burner accent lighting in the RP620, which produces quite a dramatic effect with any media while burning or even when not in use. All models also include an integrated barrier safety screen and remote control operation. The remote control is included. A digital thermostat is an option and for the see-thru models an indoor/outdoor sealing kit for exterior wall installation is available. Also available are commercial custom models and sizes with “cool-pack” glass fronts. The R-Series Gas Fireplaces offer modern design with a refined elegance and produce a relaxing ribbon-like flame for warmth and tranquility.